The Forum on Workplace Inclusion held its 2018 Annual Conference on April 10 – 12, 2018. Earvin “Magic” Johnson was the featured keynote speaker along with other notable experts and leaders in the diversity, equity, and inclusion field. 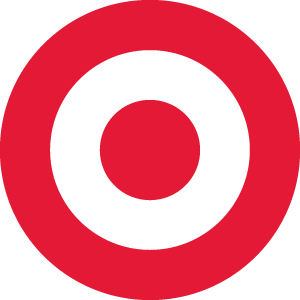 Thank you to the 2018 Lead Sponsor, Target, for making the conference possible. Welcome by the Forum on Workplace Inclusion Executive Director Steve Humerickhouse with a note by University of St. Thomas President Dr. Julie Sullivan, and an introduction by Target CEO Brian Cornell. Note: Due to contractual obligations, Earvin “Magic” Johnson’s presentation cannot be displayed.. Many in the rapidly changing workforce and marketplace are teaching us that identity is non-binary and intersectional. Nowhere is this more evident than along the abilities spectrum. When companies find themselves at the center of a public crisis, what role does leadership play in having tough but real conversations around diversity, equity and inclusion? Join us as we present a rare look inside these two organizations who found themselves in the middle of national debates on racial bias and gender inequity in 2017, and explore how each has come to internalize resilience with the lesson that ‘what we do next matters most. Moderator: Monica Marcel, Principle and Co-Founder, Language & Culture Worldwide (LCW). Guest Speakers: Mita Mallick, Director of Diversity Outreach and Inclusion, Unilever; and Bernard Coleman, Global Head of Diversity and Inclusion, Uber. As this cultural and political tipping point in America’s history, how do we really get at people’s honest ideas about race? Michele Norris (The Race Card Project, The Bridge) shares how, brick by brick, The Race Card Project is empowering individuals to bravely articulate thoughts and feelings in their search for belonging, and becoming a fascinating archive of attitudes about race in America and around the world. In this time of infinite possibilities and deep injustice, how do we seize a moment as our own individual call to heal the world? Shiza Shahid (Malala Fund; The Collective; NOW Ventures) shares her story of working to empower women and those most disadvantaged, and what it means to step outside her own comfort zone, execute on audacious ideas, and innovate with urgency to find the greatest solutions to the world’s greatest challenges. Also featured, Johnnetta Cole. 20-minute segments held in the center of the Forum Marketplace (similar to TED Talks) on a variety of DEI topics. Thank you to the 2018 Spotlight Series sponsor Cargill for making these possible. Technology and having four generations of workers in the corporate space means that the traditional linear approach to D&I strategy development is no longer effective. Check out how you can leverage the knowledge and power of crowd thinking in designing and executing your diversity strategy while also providing employees with an active way to help improve the company’s corporate culture. What is the BIG FAT DEAL? Challenge stereotypes and perceptions about people of size. Experience the discrimination faced by people of size and learn how inclusion of size and shape to D&I policies and programs strengthens individuals and organizations. Explore internalized fat phobia and experiment with loving your body. No matter if their workgroups are large or small, centralized or remote, discover approaches Progressive uses to involve individuals in their D&I efforts. With employees in all 50 states—often in smaller offices of 20-50 people—Progressive has found creative ways to reach people anytime, anywhere. Learn how they’ve leveraged technology, empowerment, and structure to engage employees regardless of location. As labor shortages and a diversifying workforce reveal challenges with retaining professionals of color in the workplace, employers are realizing it’s necessary to examine the role they can play outside of the workplace. Explore how employers are working together through the Make It. MSP. initiative to establish social engagement and community-building opportunities for diverse talent. Gain practical ideas. Explore the power of inclusive language and how, when coupled with innovative energy from youth with disabilities, it can create a welcoming environment. Learn which phrases and imagery to avoid. The narrative of a blind college intern’s personal experience will illustrate the immense potential people with disabilities bring when employers are willing to have a dialogue. Caroline Belden, The Winters Group, Inc. In our society, dominant groups (i.e., white, male, citizen, able-bodied, etc.) have a history of “othering” non-dominant groups. This session explores decentering this dominant narrative as a step toward correcting this inequity by addressing the problem of “othering,” the necessity of active listening, and the choice of shifting our focus toward non-dominant narratives in the pursuit of equity. Let’s Get Real: How Do I Create Inclusion When My Values and Beliefs Clash with Someone Else’s? In this TED-style talk, Gloria Cotton will explore how leaders can appreciatively discover and discuss differences in cultural norms, preferred ways of working, values, etc., in ways that build trust and respect within their teams—without people feeling they are compromising their values. Participants will identify inclusive behaviors and explore why they do/don’t practice inclusion consistently with everyone. The U.S. Bank Stadium project, built by a State of Minnesota and Minnesota Vikings partnership, exceeded workforce and business participation goals for people of color, women, and veterans. Learn details of inclusion efforts on the project and the successful impact on underrepresented communities through increased employment opportunities within the construction, professional services, and entertainment industry. Eighty-nine percent of companies have implemented diverse slates as a method to ensure women and people of color are provided access to management and leadership opportunities. Learn current trends for development of diverse slates, the top three metrics used to measure effectiveness, and accountability strategies that are driving implementation to ensure the identified outcome is achieved.